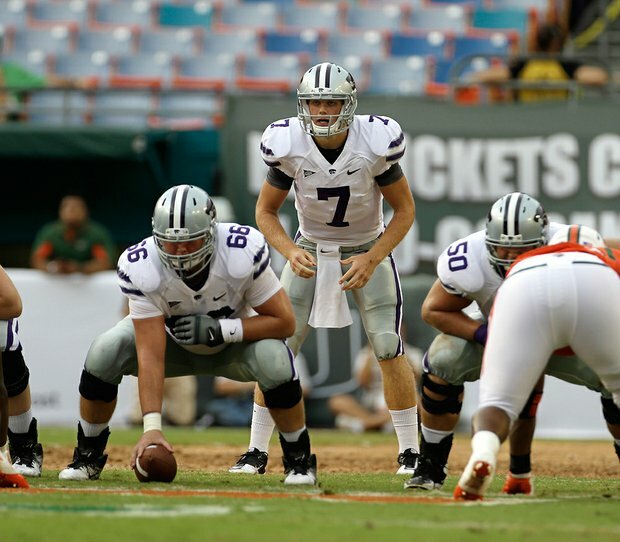 Kansas State quarterback Collin Klein knows all this is highly improbable. A home-schooled kid from Loveland, Colo., Klein struggled in his first couple years in then-new coach Bill Snyder’s system, even moving down the depth chart at times as he worked at wide receiver and on special teams. Fast forward a couple years, and Klein was at the mall with his wife, Shalin, shopping for a trip that will culminate in New York, where Collin is a candidate for the Heisman Trophy thanks to his tireless work and that of his fellow Wildcats (11-1). Sure, it might be considered surprising, but Klein quickly disputes the notion that circumstances simply fell into place. Obviously, Kansas State’s entire team played an enormous role in Klein achieving what he has this year. It is an easy argument to make, however, that he has spearheaded a leadership movement that pushed this team to reach its potential in a way that few others around the country have. Perhaps one of the most obvious aspects of Klein’s leadership is that he is never satisfied with his own performance, even though he has been tremendously effective, even though he gets boatloads of attention, even though the team has won consistently. This is his second year at quarterback, and he says he still has plenty to learn, that he would not say he has necessarily mastered the playbook. There is more that can be done, and he’s okay with that. He welcomes that. He’s more than willing to tackle that. It certainly is something. It’s something that has propelled the Wildcats to more wins than anyone outside the program ever predicted. After all, how could any other player justify giving less than everything when the guy who seemingly would have the least to prove is the hardest worker on the team? The other part of Klein’s leadership, the part those outside the program rarely see, is that the quarterback is almost as tough on his teammates as he is on himself. Unlike many athletes, he avoids swearing, but he knows how to get his point across. Other players respond because Klein has laid the foundation of relationship with each of them. While Klein might not display emotion using four-letter words, he can still be fiery and powerful when he needs to get through to someone. Of course, Klein points out – again – that none of this applies to him alone. Another essential element of Klein is his perspective. It stems from his Christian faith, and it gives him peace in what might for otherwise be a rather turbulent and nerve-wracking time: traveling to three cities in three days to accept some awards and find out about others. Klein is confident those pursuits are worthy of his time and energy. His grasp of a bigger picture also prevents him from dwelling on regret and what might have been. The loss to Baylor ruined Kansas State’s championship hopes and possibly Klein’s Heisman chances as well. He’s far from immune to the pain of that loss, but he knows there is more out there. 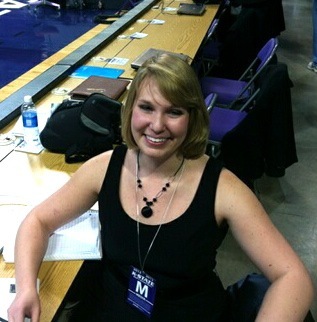 What does moving forward mean for Klein after graduation? Will he pursue an NFL career? Will he make use of his finance degree? What’s next for a player who has been compared to Tim Tebow and has brought more attention and success to Kansas State than it has enjoyed for so long? The short answer: He does not know. The longer answer: He knows the goals he wants to achieve regardless of what profession he enters. Throughout the season, the toughness of a certain Kansas State quarterback has become more and more apparent – so much so, in fact, to spawn a YouTube video of highlights of his plays with audio describing a honey badger, a creature renowned for its fearlessness, toughness and resiliency in the face of scarier-looking foes – like, for example, snakes. His teammates have certainly gotten a huge kick out of the video, and they enjoy teasing him about it. For his part, the always-modest Klein seems to find it pretty hilarious too. He said the video was a learning experience – before seeing it, he did not know what a honey badger was or what it looked like. He couldn’t help laughing as he tried to answer what commonalities he might have with the animal. In all seriousness, though, Klein’s toughness – which he says is inspired by the effort of the guys on the field with him – has been a rallying point for his teammates on many occasions. Defensive end Tysyn Hartman said he has not seen Klein slide yet, which Hartman and others appreciate. Tyler Lockett – Those who have followed Kansas State football across the years will recognize this freshman’s last name instantly. His father is Kevin Lockett, who is the team’s all-time leading receiver with 217 catches for 3,032 yards. His uncle, Aaron, is No. 4 on that list. Tyler comes to the Wildcats as a wide receiver, just like his famous predecessors. However, he played offense and defense at Booker T. Washington High School in Tulsa, Oklahoma, and led his team to a 13-1 record and 5A state championship in his senior year. For his efforts – which included 42 passes for 765 yards and 13 touchdowns as well as 54 tackles and 6 interceptions – he was named First Team All-State by the Tulsa World. While receivers coach Michael Smith has had good things to say about this freshman, he may not see much playing time right away because of the depth at his position. Ian Seau – Anyone who has watched professional football in the past 15 years knows this last name. Ian’s uncle, Junior, was a 12-time Pro Bowler at linebacker. Ian comes in to the Wildcat program at a defensive end. In his career at La Costa Canyon High School in Carlsbad, California, he amassed 89 tackles, 18 sacks and 4 blocked kicks. As much as the Wildcats’ defense has struggled in the past couple years, Ian may get to contribute quickly. Marquel Bryant – Another incoming defensive end is a cousin to an NFL receiver who tore up Big 12 stadium fields during his time in college: Dez Bryant, who is now with the Dallas Cowboys. Marquel is another player who could help bulk up the Wildcats’ defense. 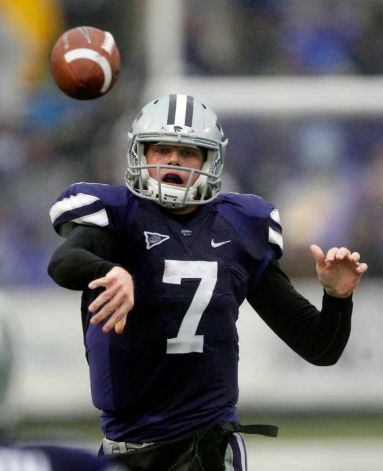 Kyle Klein – The brother of Collin Klein, a junior at Kansas State and the favorite to the win the starting quarterback position, played multiple positions in high school. While he competed at safety, tight end and quarterback in his hometown of Loveland, Colorado, he is currently listed as a defensive end for the Wildcats. He was a First Team All-State 4A selection as a senior, when he caught 47 passes for 853 yards and 13 touchdowns as a tight end and made 113 tackles and five interceptions as a safety. He was also a team captain for two years.